Whenever the band Train rolls into Connecticut, you can guarantee yourself to have a good time. 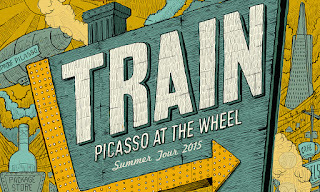 With only two original members (Pat Monahan, Jimmy Stafford) remaining in the band, Train brought their "Picasso At The Wheel Summer Tour" to the Mohegan Sun arena on Sunday, Father's Day. The good vibes started flowing even before the band took the stage as the House Of Pain song "Jump Around" got people up and dancing, while the cameras scanned the audience. 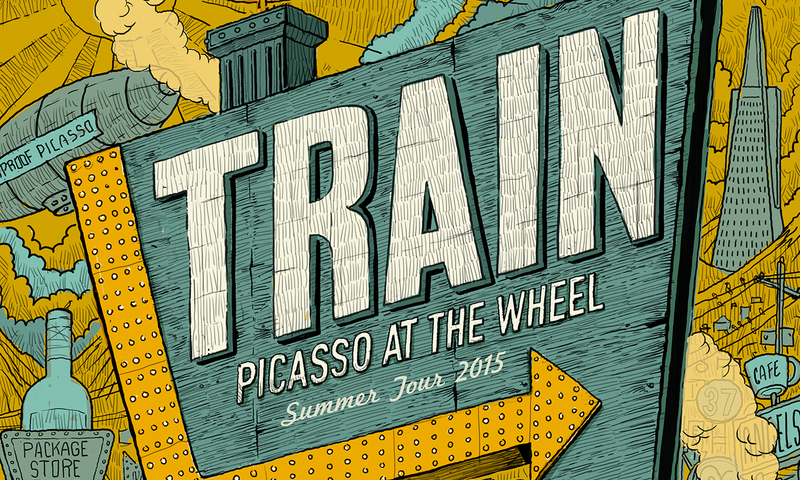 Then, Train pulled in to the station, beginning their set with a new song, "Just A Memory." Singer Pat Monahan instantly broke down the barrier between the band and the audience, talking "selfies" with fans during "If It's Love" and throwing out t-shirts during the band's first hit single "Meet Virginia." Sticking with the past, Train performed the first song they ever wrote as a band with "Free" leading into George Michael's "Freedom 90." Monahan found himself behind the drum kit as the six-piece band spread out along the stage. Singer Pat Monahan seemed to be everywhere as he went out into the audience to perform "Bruises," high-fiving fans, before returning to the stage to help throw out beach balls during "Save Me San Francisco." Opening acts Matt Nathanson and Issac Slade of The Fray joined Train for a Joe Cocker-like rendition of The Beatles' "With A Little Help From My Friends." The mostly-acoustic rendition of "Marry Me" prompted a marriage proposal in the audience, before Train picked the tempo back up to close out their set with "Hey, Soul Sister" and "Drive By." The encore centered around Train's 2001 album "Drops Of Jupiter" as the band debuted the song "She's On Fire" for the first time this tour. A spot-on cover of Aerosmith's "Dream On" led to the show closer "Drop Of Jupiter" as the audience stood in union, singing along to the chorus. Train, along with opening acts Matt Nathanson and The Fray gave fans a night of fun with interaction and most of all great music.